On the occasion of the arrival of the new oil with its unique organoleptic characteristics, a great celebration is held every November in the beautiful Imperia with tastings, seminars, discussions, exhibitions, cooking contests and entertainment for children. In a lively atmosphere in this hospitable city, hundreds of kiosks with traditional products and handicrafts are set up for the thousands of visitors flocking from all over Liguria and beyond, since OLIO OLIVA has for years now become a reputation and Imperia has established itself as city of culture, olive oil and Mediterranean diet. Inspirer of this great festival is Enrico Lupi, a member and important friend of the Olive Routes, President of the Local Chamber and Head of "Promimperia". 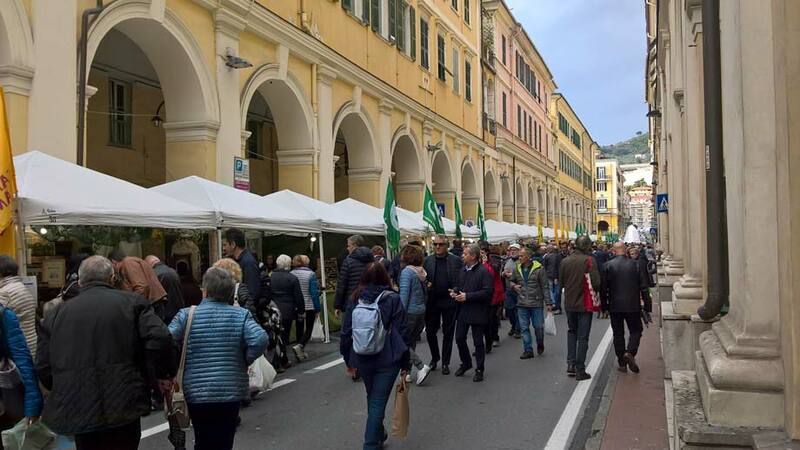 OLIOLIVA's supporters are the Ligurian Region, Città dell'Olio, Unioncamere, the Province and the Municipality of Imperia, many local trade associations and certainly the "Olive Routes". An exciting, tasteful trip prompted by the olive oil in this beautiful seaside town with its galleries and secret squares, where guests can taste and buy all the typical products of the place. Fresh olive oil from local producers, but also pesto, pickled vegetables, brigasca sheep cheese, focaccia, Conio, Pigna and Badalucco, biscuits and cakes with olive oil, cold cuts, porridge with authentic local flavors and more! The “Cultural Routes of the Olive Tree” as a model for Europe’s values, heritage and sustainable development, an International Workshop in Croatia about the Cultural Route “Routes of the Olive Tree”!